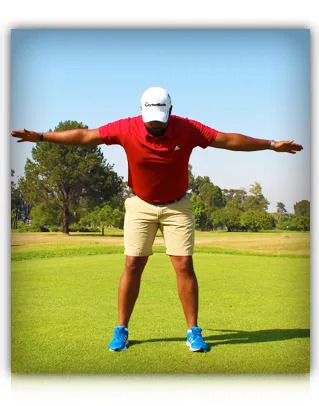 The ability to separate the hips from the shoulders is important for an effective turn during the golf swing. 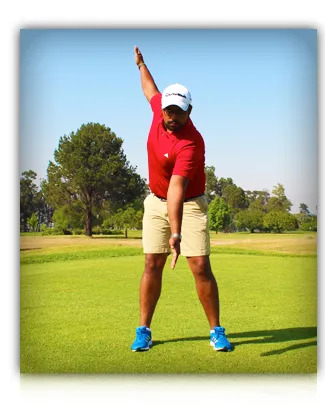 This full body exercise prepares the body for smooth and stable rotation that has your hips and shoulders rotating rhythmically. 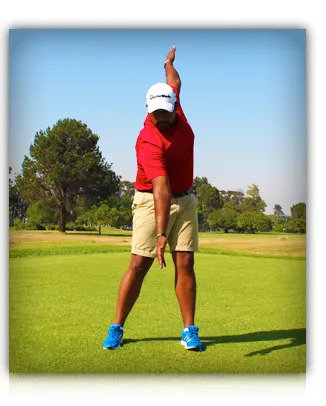 Get into your Iron play posture with your arms extended out to your sides and turn your torso back and forth. Focus on rotating the leading shoulder across your torso while rotating your hips, rather than shifting them side to side.